Heat oil in a large heavy bottom frying pan or dutch oven over high heat. Season chicken with salt and pepper. Sear chicken in pan until golden brown, about 2 minutes per side. Remove chicken from pan and set aside. Lower heat to medium-high. Add onions, celery and garlic to the pan and cook until fragrant and translucent, about 3 minutes. Add in carrots and continue to cook for another 2 minutes. Stir in red curry paste, cumin, and rosemary and then add chicken back into the pan. 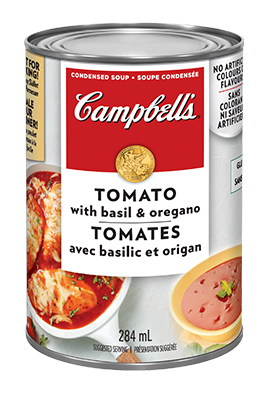 Pour in Campbells® Condensed Tomato with Basil and Oregano and Campbells® 30% Less Sodium Chicken Broth. 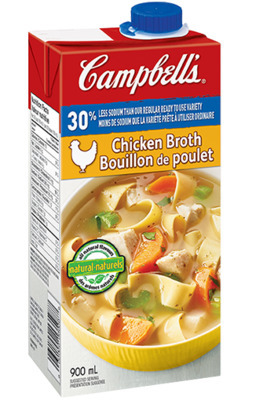 Bring mixture to a boil then immediately reduce heat to low and simmer. Cook until chicken is cooked through, about 10 minutes then stir in coconut milk and Thai basil. Continue to cook just until heated through, about 2 minutes. 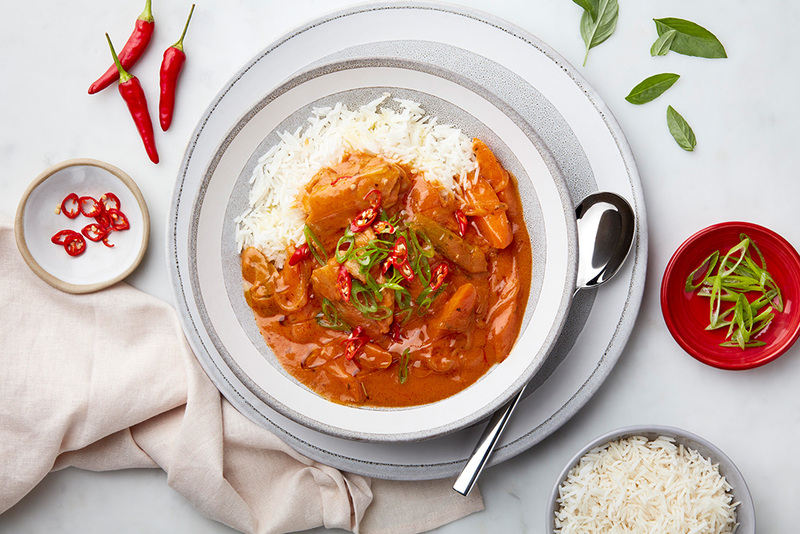 Serve curry over rice and garnish with sliced green onion, sliced red chilli peppers.